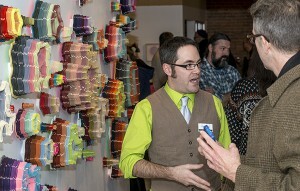 'Thou Doth Print Too Much': MT..
Charles Clary’s art cuts both ways. 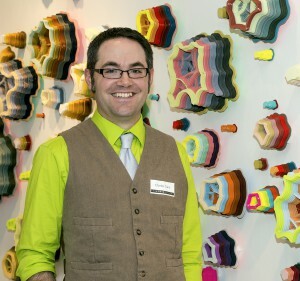 When you step into an exhibition of Charles Clary’s (’04) paper sculptures, it can be an overwhelming experience. 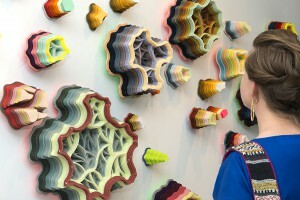 The playful shapes come off the wall and reach out to the viewer. Cut in such precise, delicate detail, the tiny brightly colored landscapes invite you to come closer for exploration. What you see there may surprise you. Organic topographies, pencil marks, and subtle imperfections let you know that each piece was cut by hand. Given that the room contains hundreds of pieces with thousands of layers—all hand-cut—the sheer volume of work is astonishing. The art world is taking notice. Clary recently exhibited as part of a two-person show at the prestigious Nancy Margolis Gallery in Chelsea, New York City. He was a featured artist on television program Daily Planet, of Discovery Canada. Highly regarded art journals including Hi Fructose have covered him. 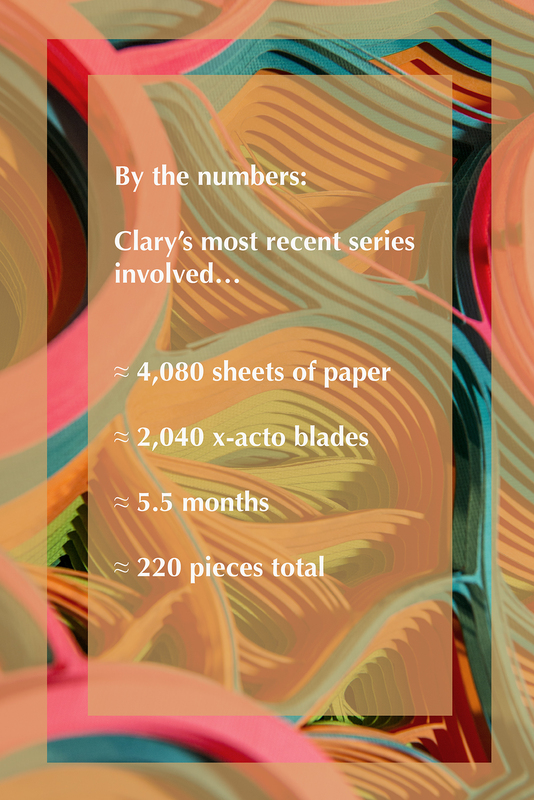 By the end of this year, Clary’s work will have been featured in five books devoted to paper art. He produces all of this work while also working as a foundations and painting professor at MTSU, teaching four classes each semester. A devoted teacher, he’s passionate about setting an example for his students as a practicing professional. 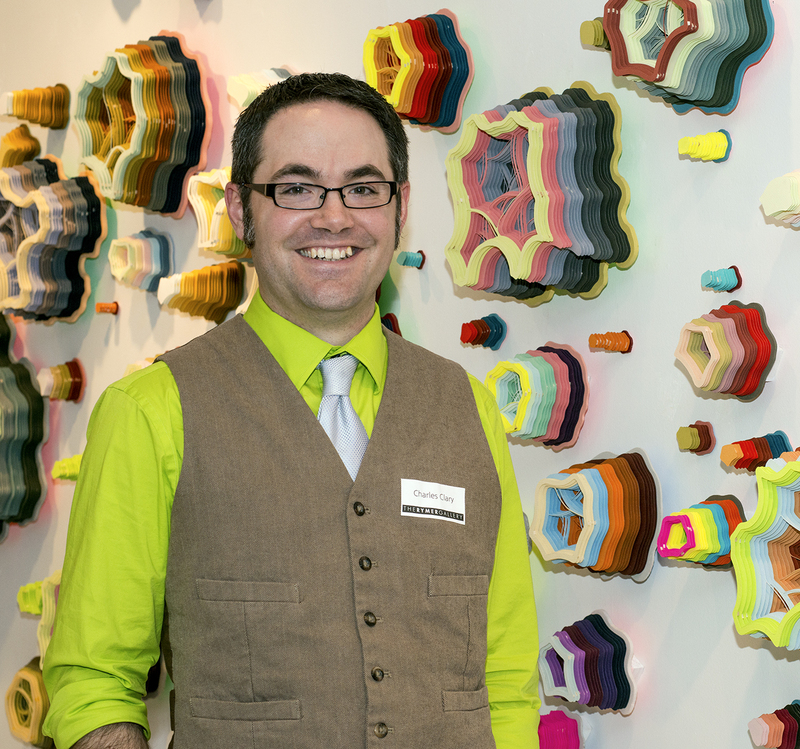 In December, the Rymer Gallery in Nashville held an exhibition of Clary’s work called Meticulous Excavations, in conjunction with fellow artist Jamey Grimes. This particular body of work was a sort of memorial. 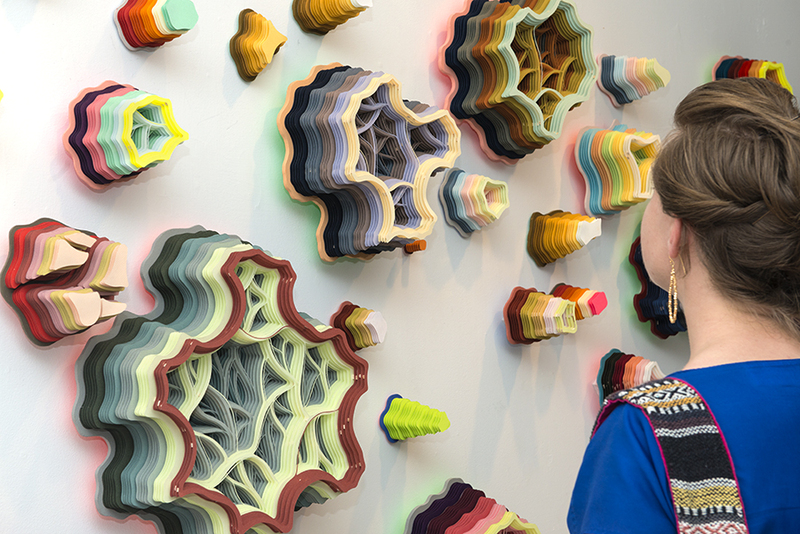 Each of the 204 pieces represent a day between his mother’s diagnosis of stage-four lung cancer in July 2012 and her death in February 2013, followed two weeks later by the death of his father. 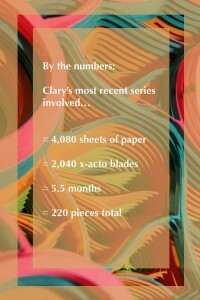 Clary described making the work as cathartic. Despite the grief that inspired the work, Clary strives to leave the viewer with a feeling of joy. No wonder he relishes describing a time when a four-year-old girl came to one of his exhibits in France and started poking her fingers in all the openings of his work. “She was just laughing, all giddy, and people were horrified that she was doing this. I was like, ‘Whatever, I can always make another one, but that reaction is priceless!’” he recalls. Though Clary freely admits he would discourage adults from doing the same, his goal is clear—always leave the viewer with a smile.